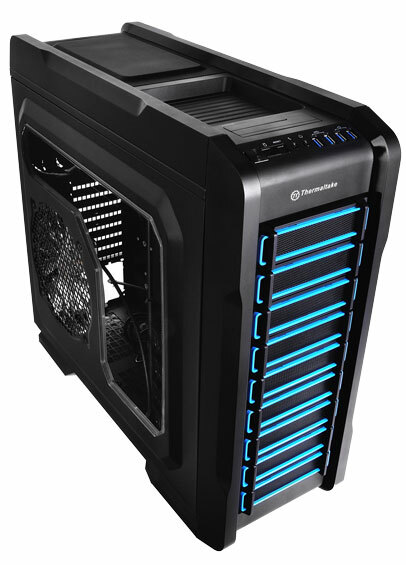 For the most part I like Thermaltake, but generally they've been one of the holdouts producing glossy, ostentatious enclosures while the rest of the industry has been moving past those. So you can imagine my surprise when the producers of the Level 10 GT and its kin hit me with some more restrained designs. While the new Chaser cases aren't all the way there, they're remarkably close. 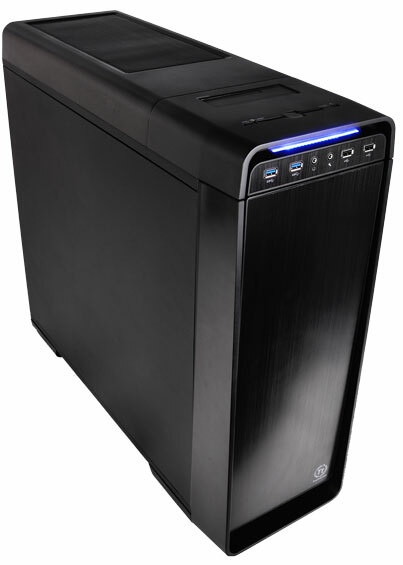 There are essentially three models, with the top A71 pictured above featuring four USB 3.0 ports and a hotswap bay. From there they scale down to the smaller A41 and A31, but either way it's a pleasant change of pace. Where things get even more pleasant is their new Urban series enclosure. The Urban series enclosures are geared for silence, and they include fan control and acoustic padding standard. They're stylishly restrained and very attractive (at least in my opinion), but it remains to be seen if they'll suffer the same pyrrhic victories most acoustically-engineered cases do: sound dampening material and poor airflow resulting in internal fans having to run faster (and more audibly) in the process. It's a delicate balance I think only Nanoxia's Deep Silence 1 has really mastered in recent years, so we'll see. Thermaltake was also showing off more power supplies and again these are incremental updates from the previous year, basically bumping up efficiencies and efficiency certifications. Finally, I had a chance to look at their CPU cooling solutions. 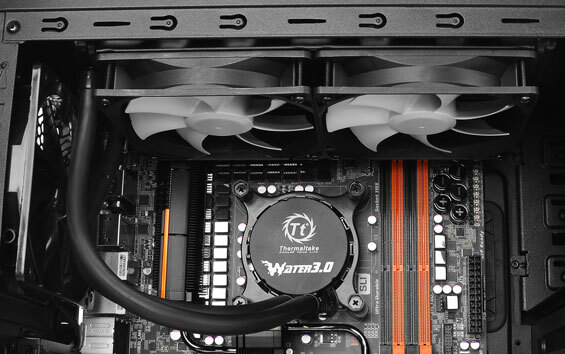 The Water 3.0 series runs the same gamut that Corsair's own Hydro series do (240mm radiator, thick 120mm radiator, thin 120mm radiator), but Thermaltake is using current-generation Asetek instead of CoolIT hardware. They're also replacing their Frio series air coolers with new Nic series coolers which are designed to reduce footprint and avoid memory heatsink clearance issues while providing the same or better performance than the old Frio line. Hopefully we'll be able to get some of these coolers in for testing.